Take a look at your website. No really. Chances are, you're quite pleased with it. It functions, brings in sales, even looks nice in the right lighting. But here's the problem: the web is changing. What worked and "looked nice" five years ago is now a relic of a bygone era that may repel as many visitors as it attracts. As trends and innovations unfold, prudent businesspeople are forced to recognize that "good" is a relative term, contingent on time and context. But is it time to pull the trigger? Is it time to take the plunge and re-design your virtual shop? That decision remains yours to make, but here are some reasons why it might be time to give your website a facelift in 2014. Design is a subtle and ever-evolving subject. Our understanding of how human beings interact with objects, tools, devices, and websites is in constant flux and ignoring the significance of these developments is to miss out on a real opportunity to improve your business in multiple ways. One of the primary benefits of such evolution is a simple matter of dollars and cents. Product pages, for example, have changed with increasing knowledge about customer behavior. Unlike physical businesses, online retailers face completely separate barriers to sales conversion built by customer fears and anxieties. By designing product pages with a layout that features price prominently, savings even more prominently, and value-driven descriptions with reinforcing customer testimonials, wary shoppers can find answers to their questions quicker and easier, resulting in a greater likelihood of sales conversion. Even more surface judgments can have an effect on sales. The "old" Internet featured glossy buttons, gradient colors, and skeumorphic textures. The new web is flat, sleek, clear, and usable. The intrinsic value of these changes will be discussed in just a moment, but even without design knowledge, customers are basing their perceptions on the trendiness and functionality of your online design, unconsciously or otherwise. By observing, understanding, and embracing changing design innovations and trends, you can keep your site relevant, appealing, and effective well into the future. Greater and greater numbers of customers are spending greater and greater amounts of time on mobile devices in myriad capacities. But the most pointed increase in use has come in the form of mobile Internet. New standards for mobile usability and new practices for "m-commerce" have arisen as a response that should be noted for the sake of commercial longevity and brand reach. The most important aspect of this changing web is consistency in experience across all platforms. This does not mean consistency in dimensions, layout, or other specific factors, but instead consistently usable, aesthetic, and functional solutions that translate effectively between contexts. The current industry standard for such a solution has been coined "responsive web design". In addition to its pervasiveness, the system combines media queries and fluid layouts to determine what formatting is best for what platform or device. The result is an elegant approach to the challenge of consistency and efficient implementation for your organization. If you do not have a mobile web solution, get one. Weigh the pros and cons of different solutions (mobile only, desktop web on mobile devices, mobile-specific HTML, and responsive web) and make your choice based on budget and end result. Whatever method you choose, understand that a solution is better than no solution in an increasingly mobile world. 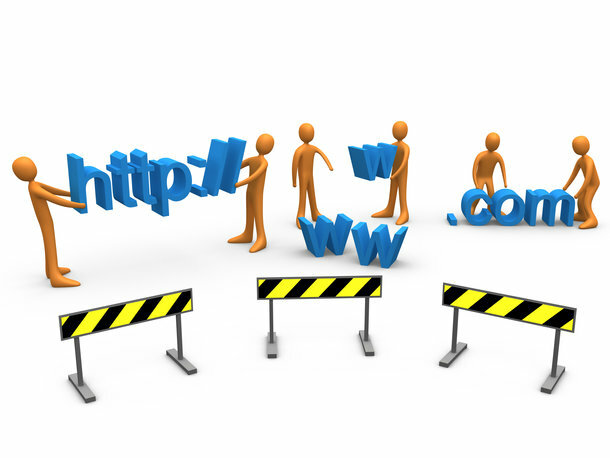 Your website fills a much greater role than the facilitation of purchases and fulfillment of customer service requests. Its primary purpose is as your digital storefront, the virtual equivalent of a brick-and-mortar shop. Knowing this makes it much easier to understand why website design plays such an important part in shaping brand perception. According to research, the two greatest website factors affecting brand perception include communicability and classical aesthetics. Communicability is the relevance and effectiveness of content on your site. This includes blog posts, photographs, and video; media outside of explicit advertising and products that convey brand values. By creating a marketing plan and then tailoring website content to communicate the values outlined in that plan, you can greatly improve customer perception. The second factor, classical aesthetics, includes basic design aspects of clarity, order, and balance. By evaluating your site and making it more aesthetically pleasing, customers can and will think better of your product and your organization. The net effect of all these changes is more sales and better customer sentiment. What's significant about this results is that it all arose from a website re-design. It goes without saying then that a well-functioning site plays a necessary and profound role in shaping commercial return, giving ample ammo to the prospect of a web overhaul. Once again, the choice is yours, but the proof, as they say, is in the pudding. With the face of the Internet changing daily, the decision to makeover your website is a simple matter of understanding the benefits. Improving web design can bolster sales conversion, adapting to the mobile environment can capitalize on new inbound traffic, and improving content and aesthetic can enhance brand perception. With such powerful implications, even a non-mandatory website face-lift can have far-reaching implications as the New Year dawns and our relationship with the web continues to change. Weigh your options and remember, your website is your store, and every store needs a little sweeping up now and again.